WE HAVE ONLY ONE QUALITY POLICY...EXCELLENCE! Hall joined Kierulff Airline Supply in Los Angeles, California, in 1975, as an inside sales representative. The position gave Hall an opportunity to explore the sales and marketing side of the business. In this capacity, she was responsible for sales and marketing to the airlines, airframe manufacturers, subcontractors, as well as the airline aftermarket worldwide. Hall’s knowledge of the aerospace industry led her to her next adventure. In 1977, along with two colleagues, Hall formed a new company, providing value-added distribution of electronic components supporting the aerospace industry dominated by large, well-known corporations. That new company was AeroFlite Enterprises, Inc.
Hall assumed the role of manager of marketing and sales. She was charged with business development and introducing AeroFlite to the industry. Under her marketing direction, the company grew incrementally, satisfying market demand for services by adding new products and new positions. In 1985, Hall was asked to participate in the Air Transport Association (ATA) procurement conference, for which she volunteered her services during the ensuing seven years. Hall also became involved in the Air Carriers Purchasing Conference (ACPC). She was the first female ever nominated for, and elected to, the organization’s committee. After serving 4 years on the committee, Hall became the Air Carriers Purchasing Conference’s first female committee chairman. Today, Hall continues to be involved with the ACPC, as well as other recognized conferences and associations. Hall became the company’s sole owner, president and chief executive officer in 1995, when she purchased all of the outstanding stock from her two partners. 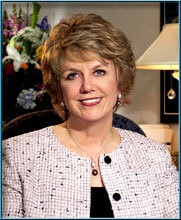 She reorganized AeroFlite, expanded the firm’s product lines, and added personnel. In her first five years as owner, she doubled company sales. She extended operations across the U.S. and Canada, opened offices in Europe, and partnered with firms in South America and Asia. In 2002, AeroFlite received certification as a Woman Owned Business from the National Association of Women Business Owners (NAWBO). NAWBO also recognized Hall as the “Remarkable Women” honoree and named her recipient of the Shining Star Award for Business Owner of the Year. AeroFlite is named by The Boeing Company as a Preferred Supplier. The Boeing Company recognizes AeroFlite as Supplier of the Year in the Small Woman-Owned Business category. Hall was a featured guest on KOCE Television in an interview conducted by the anchors of the program, Real Orange. As a successful business woman in the aerospace industry, Hall was asked to speak regarding her company and the significance of being named by NAWBO as recipient of their “Remarkable Women” and “Shining Star Award for Business Owner of the Year”. In continuing to expand AeroFlite, Hall added a fifth building to accommodate a new custom cable harness assembly, engineering and manufacturing facility. Looking toward the future Hall’s plan is to continue to expand AeroFlite’s capabilities and facilities here and abroad.